If you are planning on buying a pool, you may be looking at the accessories as well. There are hundreds of pool accessories available on the market today. Some help improve the cleanliness of the pool, some increase safety, some add functionality to the pool, and others improve the aesthetics of the pool. Taking the time to do your research on the various types of accessories available will help you determine which are ideal for your pool. Keep in mind, that the accessories you need may change depending on the type of pool you are planning to buy. Here are some of the top swimming pool accessories and what information you should know if you are considering the accessory type. A salt chlorine generator works by converting salt into pure chlorine in your pool water. This helps you to get clean, silky water without the harsh side effects of burning eyes, strong odors, and discolored bathing suits that are associated with chlorine pools. Salt chlorine generators also require less maintenance than using chlorine in your pool. 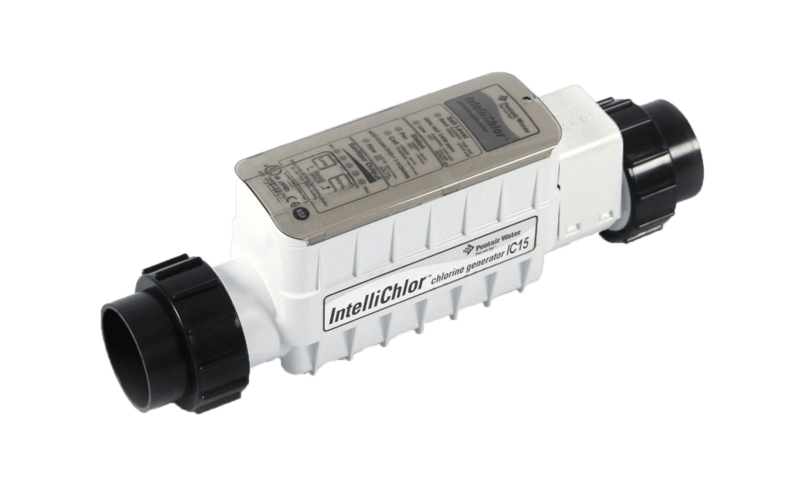 A salt chlorine generator typically costs around $1,500 to $2,500 installed. You can expect to pay around $100 per year on salt, depending on the size of your pool. Also keep in mind that the component that converts salt to chlorine, called the cell, only lasts three to six years. The cost of replacing it typically runs around $600 to $900 dollars. However, while this deters some people, keep in mind that the cost of replacing this part is typically what you would spend on products to maintain a traditional chlorine pool for the same time period. As such, they end up costing about the same. Buying a fiberglass pool? Our thorough guide has the answers to all of your questions about size, price, design, manufacturing, installation, and more. 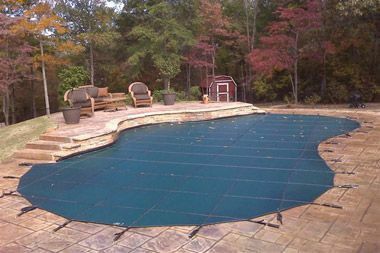 A pool cover is typically used to keep debris out of a pool during the time when it is not in use. When you are looking for a pool cover, you should consider the various types that are available and the benefits and price of each type. Here is some information about the most popular types of pool covers. 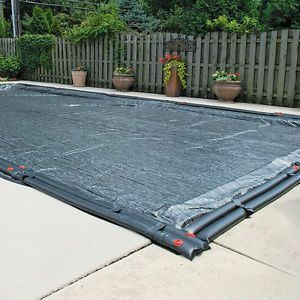 A standard winter cover is the most basic of pool covers. They are typically thin and made from a tarp-like material. This option is also the cheapest, costing anywhere from $75 to $300, based on the size of the cover and the thickness of the tarp. This type of cover only lasts one or two winters, but will effectively keep dirt and debris, such as leaves and twigs, out of your pool during the fall and winter months. 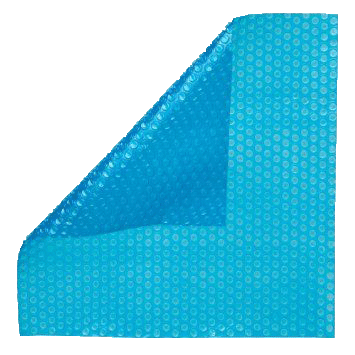 A security cover is designed to keep debris out of the pool, while also helping to prevent any children or animals from falling through the cover and into the pool. 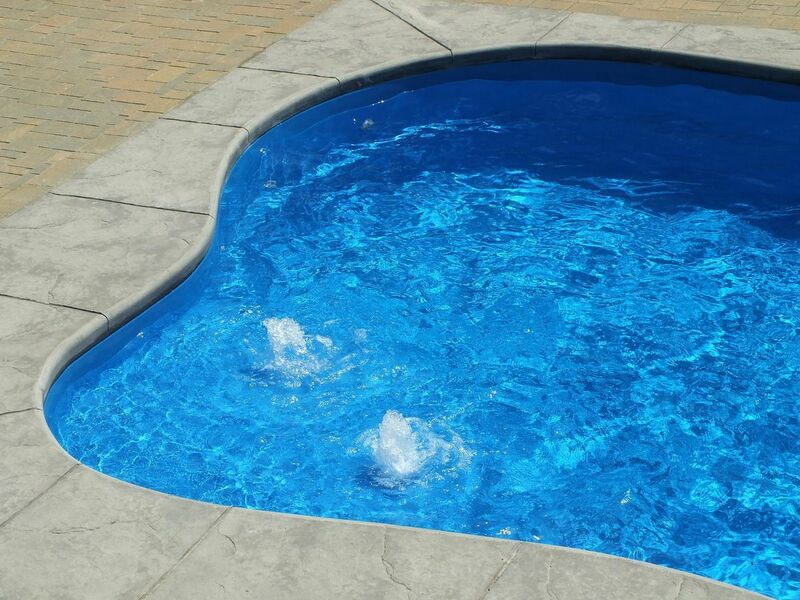 This type of cover has spring straps that adhere to anchors that are installed in the concrete around your pool. As such, this type of cover has to be professionally installed. Generally, these types of covers range from $2,500 to $4,500 installed. They can last anywhere from 6 to 15 years depending on if you select a mesh or solid security cover. Typically, you have to roll out a pool cover over the pool yourself and secure it. An automatic pool cover rolls out over the pool with the touch of a button. This type of pool cover is expensive, costing anywhere from $10,000 to $15,000 installed. However, you can cover your pool easily anytime it is not in use, helping it to stay sparkling clean. The last type of pool cover you may want to consider is a solar pool cover. If you love to swim, a solar pool cover can help extend the pool season for you. The solar pool cover helps to heat your pool up, allowing you to use it a bit sooner in spring or a bit later in the fall months. Most solar covers cost around $1,000 installed with a reel system. Pool lighting serves two purpose. First and foremost, it allows people to swim safely in the pool in the dark. Second, it adds ambiance to the pool, helping it to pop at night, even when it is not in use. When you are selecting pool lights, you have many options. You can select the number of lights you want in the pool, what type of bulb you want to use, what size light, and even what color of light. Today, LED lights that change color are the most popular option. 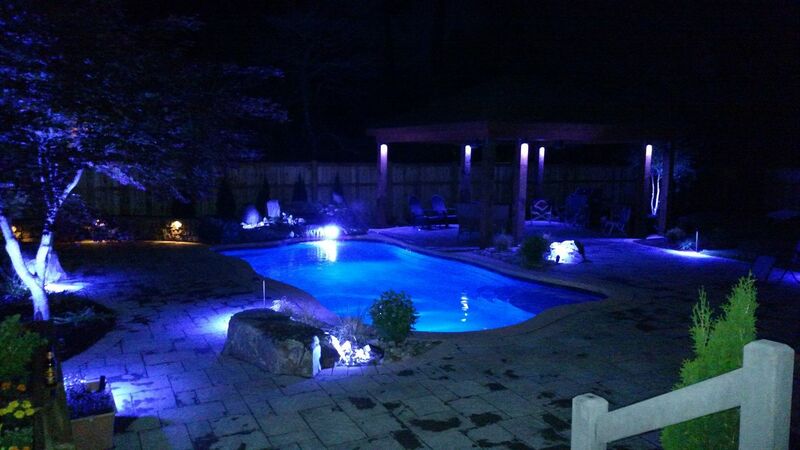 LED pool lights are typically around $650 to $900 installed. You generally want at least two lights installed if your pool is 30 feet long and three lights installed for pools larger than this. 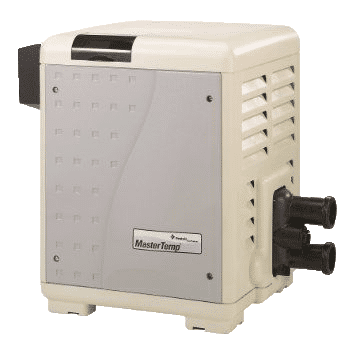 A pool heater is needed if you wish to extend your pool season or use your pool when you otherwise would not be able to. A pool heater heats up the water, turning cold, frigid water into water that is comfortable to swim in. A natural gas or propane pool heater heats your pool the fastest and can be used in any outdoor temperature. However, this type of pool is expensive, costing around $300 to $800 per month to run. A natural gas or propane pool heater costs $2,750 to $3,750 plus the cost of gas and electrical hookup. A heat pump pool heater costs a lot less per month to run, typically only $50 to $100 per month. However, they are slow and take a few days to heat your pool. They also only run if temperatures are 55 degrees or higher outside, meaning you can't use them whenever you want. 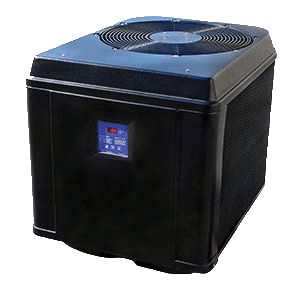 A heat pump pool heater typically costs $4,500 to $6,000 installed. Diving boards and pool slides can add a fun element to the pool. In addition to being able to swim or lounge in the water, you can now slide or jump in. While slides and diving boards can be added after your pool is complete, it is something you need to consider when designing your pool. The depth needed for both vary, as does the space you will need to accommodate both outside of the pool. The pricing of both diving boards and slides vary based on the materials used to construct the board or slide and the length of a slide. A diving board typically starts at around $1,000 installed. A pool slide can cost around $1,000 for a small, straight slide, and upwards of $15,000 for a long, curvy slide. Pool ladders, stairs, and rails are important in the pool. They are used to help someone get in and out of the pool. Most pools have stairs on the shallow end of the pool, allowing someone to enter or exit. One or two pool ladders with rails are often found in the deeper ends of the pool. When you are selecting your pool steps, you have to consider how many steps you want and the height of the steps. When you are selecting a pool ladder, you need to consider how far down you want the ladder to extend. As you select rails, consider the weight that you want the rails to support. Determining a cost for pool steps is tricky, as the cost is often built into the construction of the pool. Most pool ladders are around $1,000 to $2,000 installed. 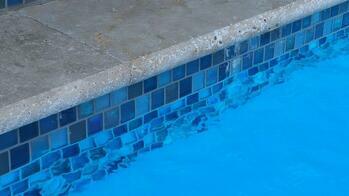 Many people believe that waterline tile is used to hold the upper edges of the pool liner in place. However, this is not the case. The tile simply is used for aesthetic purposes. It brings color and style to the edge of your pool. It also disguises waterline stains on concrete pools. 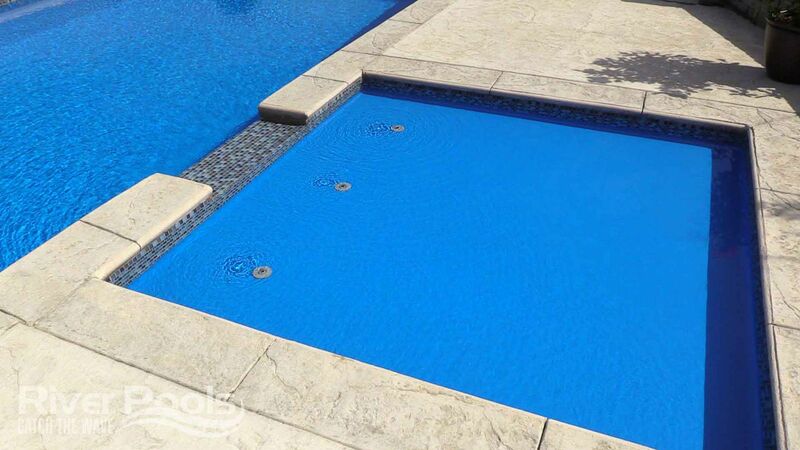 When you are selecting a waterline tile, you must select a tile designed for use in a pool. This type of tile has been coated to withstand sunlight and chlorine. You have many options as far as colors, size, and texture goes. All in all, waterline tile typically costs $1,800 to $2,500 for an average-sized pool using an average-cost tile. The tile should last for about 10 to 15 years. When it needs to be replaced, it costs, on average, around $3,000 to $4,000. Automated controls help you to control things in your pool with the touch of a button or the flip of a switch. Many people have their pool’s filtration system connected to an automated control. This ensures the pool filter runs every day, starting and ending at a specified time. 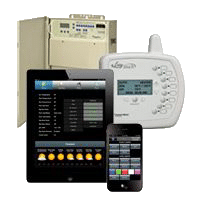 But automated controls can also be used to automatically turn the pool lights on at a certain time, heat the pool at a specified time, or even turn on or off water features, like waterfalls. Automated controls range in price from $2,500 to $5,500 based on the brand you select and what features need to be automated. An automatic vacuum cleaner cleans your pool for you. This helps prevent you from having to go out into your pool and brush the sides and bottom of the pool to remove dirt and debris. There are various types of automatic vacuum cleaners, including suction-side, pressure-side, and robotic cleaners. 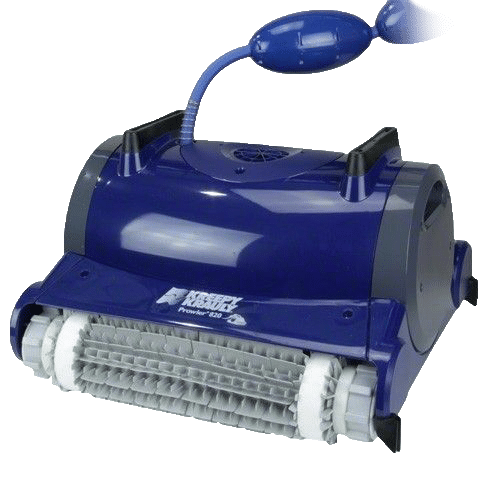 When you think of a pool vacuum cleaner, you likely think of a suction side cleaner that uses a hose connected to your filtration system to clean the pool. However, robotic cleaners are becoming more popular because they don't use hoses to work and won't stop operating because of kinks or clogs in the hose. Automatic cleaners can range in price from $400 to $2,500 depending on what you select. Even with the best filtration system, your pool may need to be hand-cleaned quickly to remove leaves that have just fallen or bugs that have found their way into your pool. A leaf cleaning rake or leaf skimmer is needed. Essentially, this is a mesh net attached to a metal rod that allows you to reach and remove the debris without removing water. You should be able to pick up a leaf rake or skimmer for under $50. Water features in your pool serve many purposes. First, they help water to circulate, which can help to prevent algae. Second, they add an aesthetic element to your pool that makes your pool fun to look at. Last, they may make your pool more enjoyable to play in. There are many different water features that you can incorporate into your pool, including cascade waterfalls, bubblers, deck jets, and custom water features. Cascade waterfalls tend to cost $900 to $2,000, depending on their size. Bubblers cost $450 to $700 each. Deck jets are $500 to $1,000 each. Custom features can range from $3,500 to $15,000 depending on the scope and size of what you have in mind. Fire bowls and fire pits are technically not a part of the swimming pool. However, having one near your pool can help to transform the space into a complete entertainment area. 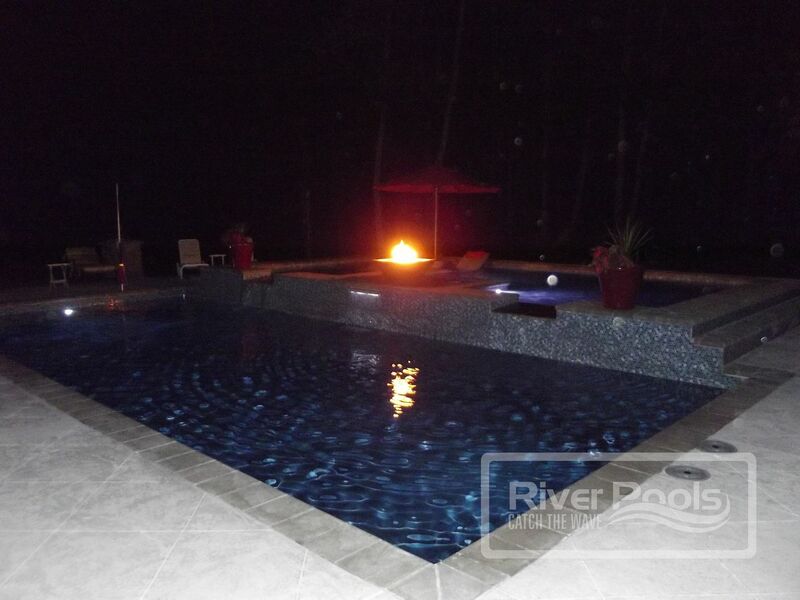 The fire’s flames can add light to your pool area and create an interesting reflection in the water. If you love the idea of seeing flames as you swim, or want to give adults a place to sip wine while the kids sit and swim, a fire bowl or fire pit may be perfect. A fire pit typically starts around $2,500 and goes up depending on the size and materials used in creating the pit. Most fire bowls cost $5,000 to $8,000 installed when they use the same color scheme and materials used in creating the pool. In addition to installing a pool, you may want to have another option. These include spas, wet decks, and wading pools. A spa is a smaller version of a pool that has hot water and jets, helping you to relax. A wet deck is a kids' play area that features a non-slip deck with spraying water jets or toys. The kids can get wet without sitting in water. A wading pool is a small version of a pool, typically one to two feet deep. This is perfect for small or young children. 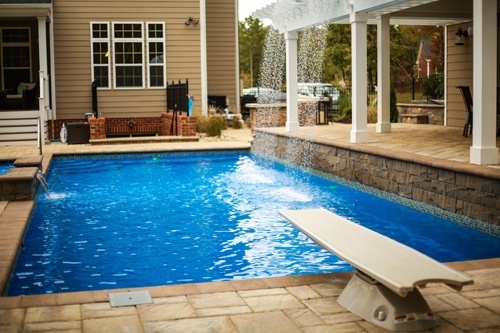 Most spas, wet decks, and wading pools are installed right next to your pool. These options range in price from $6,500 to $35,000, depending on what you are having installed, its size, and the materials you select. A tanning ledge, tanning shelf, or Baja ledge is a small ledge or shelf on any edge of the pool. Typically, these ledges are designed so that they are submerged in about 8 to 12 inches of water. This is the perfect place to hang out in the water, while also being able to lie around and tan. Tanning ledges, tanning shelves, and Baja ledges are also an alternative to wading pools. Small children can play on the ledges without being fully submerged in the water. 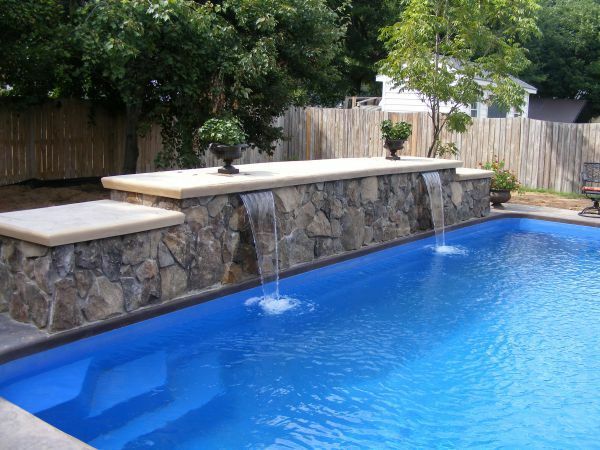 Just like with pool steps, the cost of adding in one of these ledges or shelves is challenging, as it is built into the cost of pouring and designing the pool. With fiberglass pools, if you choose a design with a tanning ledge, it's already integrated. 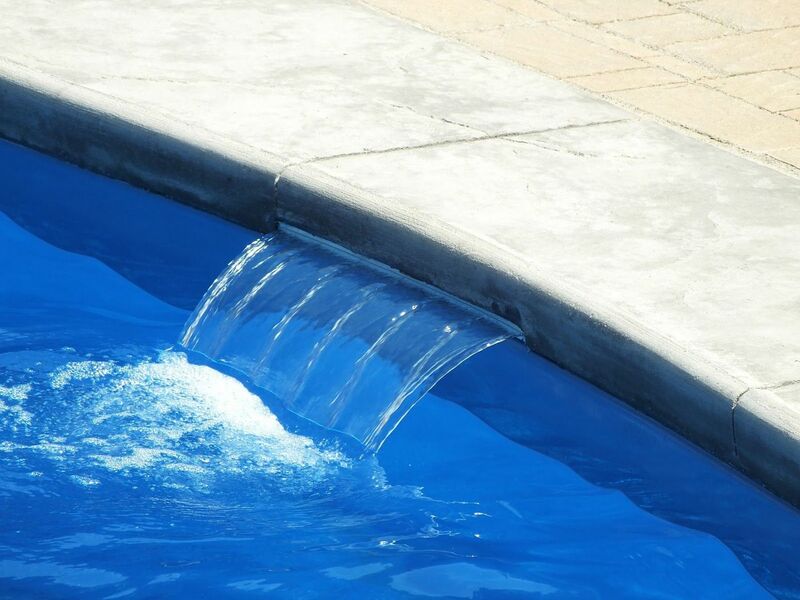 However, adding a ledge to a vinyl liner or concrete pool may increase the cost of your pool by at least a few thousand dollars and take away some of your swimming space. There are many different poolside items you will want or need to help keep your pool clean and entertaining. A pool thermometer helps you determine the temperature of your pool’s water. You can use a floating thermometer or a thermometer that stays in one place. Floating thermometers tend to be more popular as they can be moved if one area is shaded. Most pool thermometers can be purchased for $10 to $20. Floating chlorinators and brominators help you maintain a steady flow of chemicals into a chlorinated pool. These floating items can be filled with chlorine or brominator tablets. They then slowly release the chemical as the tablet dissolves. The majority of floating chlorinators and brominators cost around $20. There are a variety of toys and games that you can purchase to make your pool enjoyable. You can purchase diving rings and sticks, inflatables, a pool volleyball net, or a poolside basketball hoop, just to name a few things. Visit your preferred pool supply store to check out the variety of toys and games that you can buy. Toys and games can vary in price. Rings and sticks may be as cheap as $5, inflatables can range from $20 to $50, and poolside basketball hoops can cost around $100. There are many different swimming pool accessories that you can purchase to go in and around your swimming pool. But before you can buy these accessories, you have to build a pool. 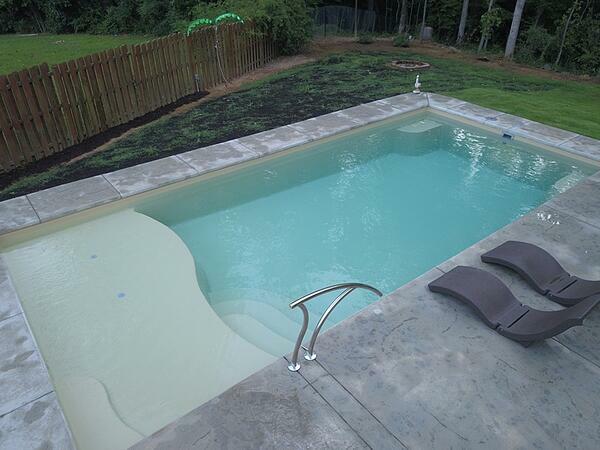 River Pools manufactures and installs fiberglass pools in Virginia. Our models are also distributed across the country by our River Certified Dealers. If you are interested in learning more about building a fiberglass pool and the accessories that go with this type of pool, download our free ebook. It will answer many of the questions you have and help you learn more about this type of pool and the swimming pool accessories that go along with it. Next: What Are the Best Materials for a Pool Patio?